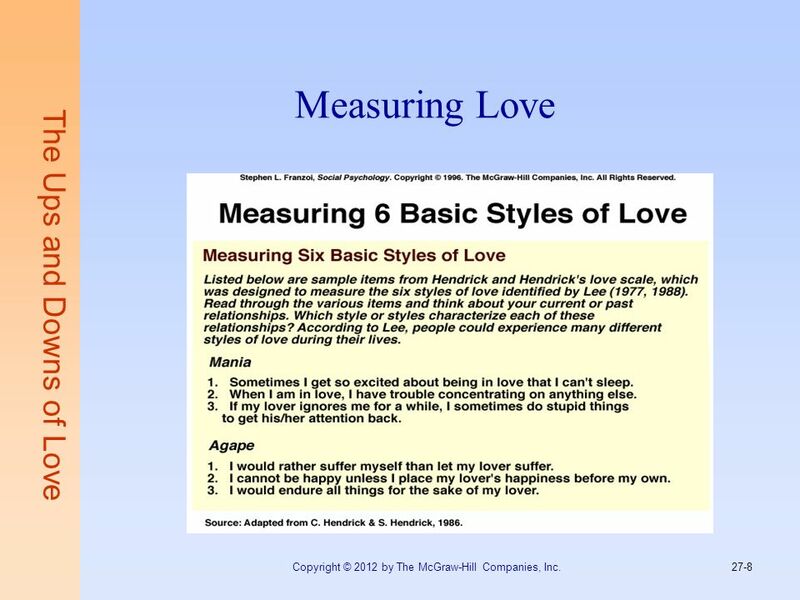 The Ups and Downs of Love The Ups and Downs of Love McGraw-Hill/Irwin Copyright © 2012 by The McGraw-Hill Companies, Inc. All rights reserved. 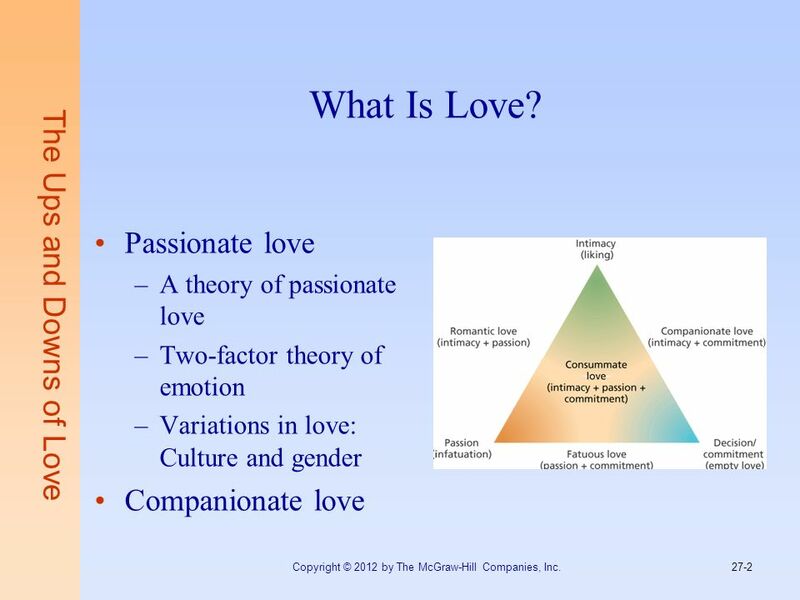 A theory of passionate love Two-factor theory of emotion Variations in love: Culture and gender Companionate love The Ups and Downs of Love Copyright © 2012 by The McGraw-Hill Companies, Inc.
3 What Enables Close Relationships? Equity Long-term equity Perceived equity and satisfaction Self-disclosure The Internet: Intimacy or Isolation? 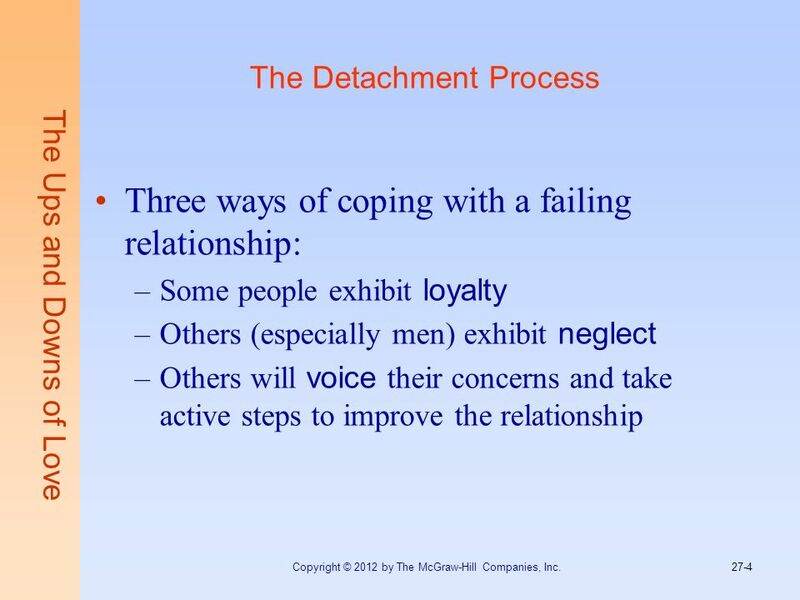 The Ups and Downs of Love Copyright © 2012 by The McGraw-Hill Companies, Inc.
Three ways of coping with a failing relationship: Some people exhibit loyalty Others (especially men) exhibit neglect Others will voice their concerns and take active steps to improve the relationship The Ups and Downs of Love Copyright © 2012 by The McGraw-Hill Companies, Inc.
5 How Do Relationships End? 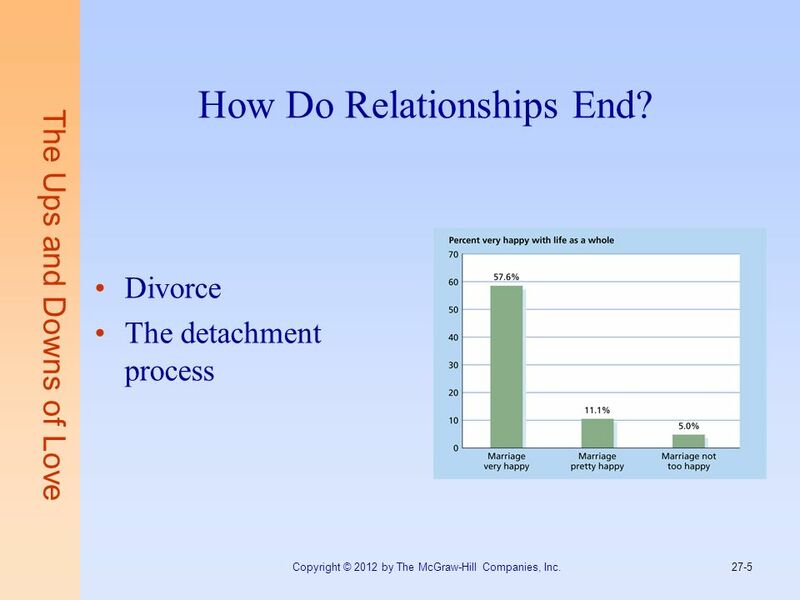 Divorce The detachment process The Ups and Downs of Love Copyright © 2012 by The McGraw-Hill Companies, Inc.
6 Ending Relationships Approximately 50% of American marriages end in divorce Approximately 40% of Canadian marriages end in divorce The Ups and Downs of Love Copyright © 2012 by The McGraw-Hill Companies, Inc.
7 Either “working on” a relationship or It is dying. 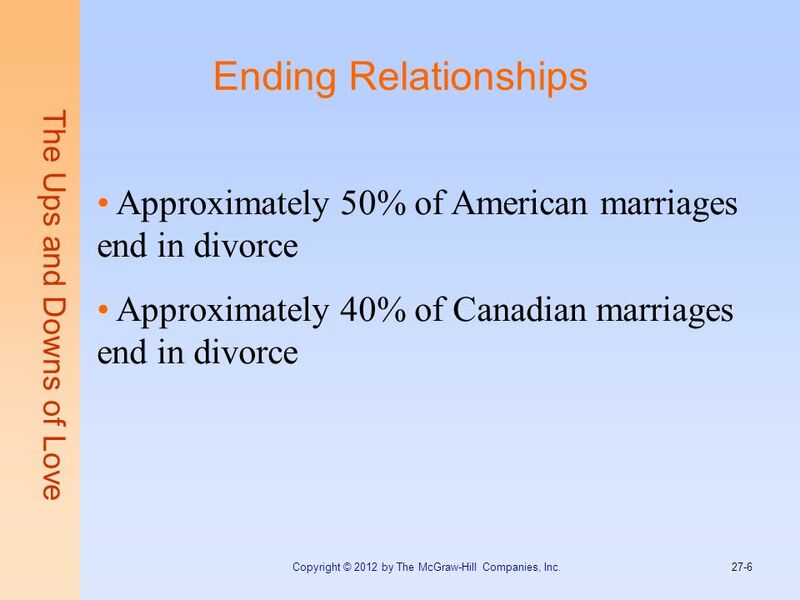 The Ups and Downs of Love Copyright © 2012 by The McGraw-Hill Companies, Inc. 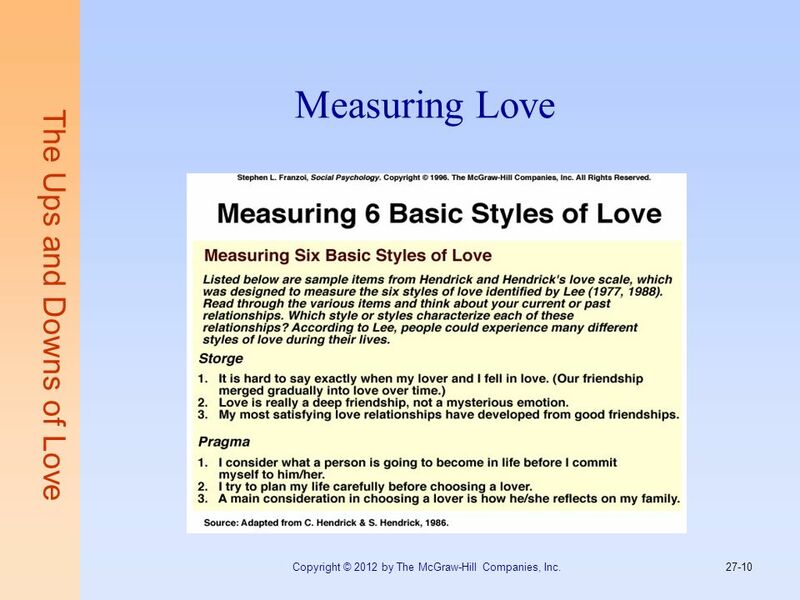 Copyright © 2012 by The McGraw-Hill Companies, Inc.
Download ppt "Exploring Social Psychology by David G. Myers 6th Edition"
2-1 PowerPoint Authors: Susan Coomer Galbreath, Ph.D., CPA Charles W. Caldwell, D.B.A., CMA Jon A. Booker, Ph.D., CPA, CIA Cynthia J. Rooney, Ph.D., CPA. 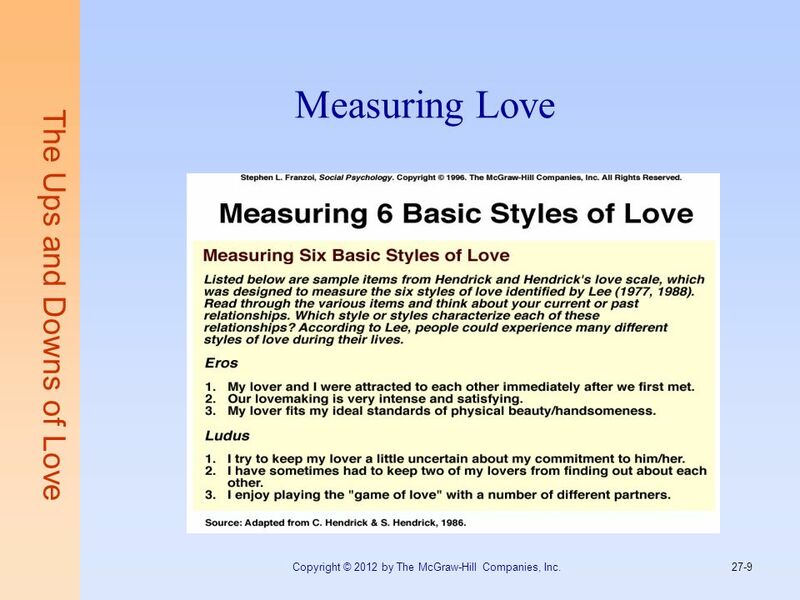 Attraction and Intimacy Copyright © 2005 by The McGraw-Hill Companies, Inc. Do Birds of a Feather Flock Together – or Do Opposites Attract??? Attraction. 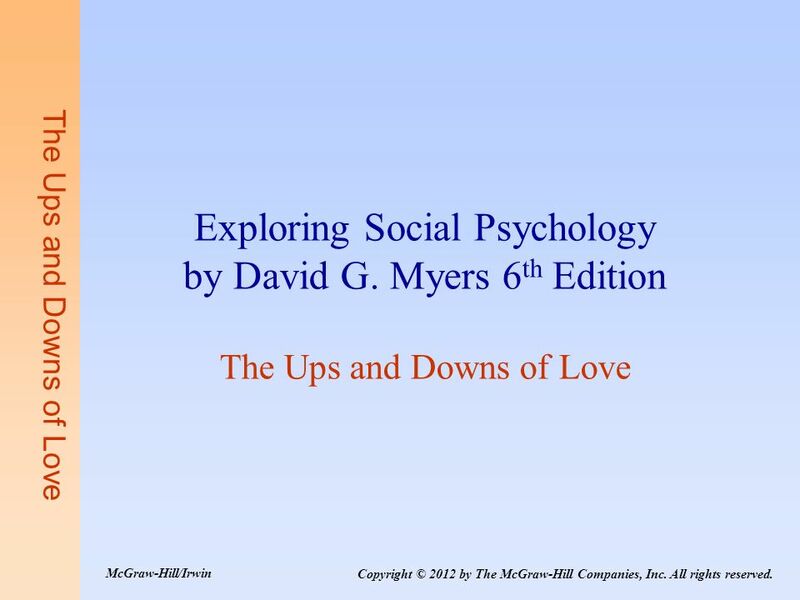 Social Psychology in the Clinic Copyright © 2008 by The McGraw-Hill Companies, Inc. Social Psychology by David G. Myers 9 th Edition Social Psychology. Copyright ©2012 by Pearson Education, Inc. All rights reserved. EKG Plain and Simple, Third Edition Karen M. Ellis Intervals Practice: EKG Paper 1 PR__________. McGraw-Hill/Irwin © 2012 The McGraw-Hill Companies, All Rights Reserved Chapter 15: Multinationals and Migration: International Factor Movements. 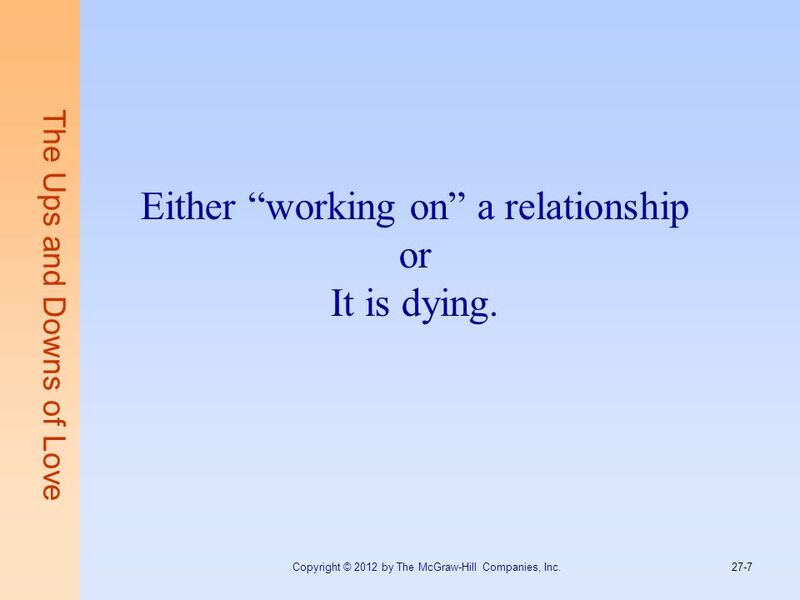 How are your behavior modification projects going?